The problem here is that CB is for low-energy devices, version 4.0. When talking about Bluetooth Low Energy vs. Bluetooth, the key difference is in Bluetooth 4.0’s low power consumption. On the other hand, TH-D74’s BT interface is 3.0 class 2 offering no support for the LE protocol. Most Bluetooth applications are battery-powered Class 2 devices (like this transceiver), with little difference in range; whether the other end of the link is a Class 1 or Class 2 device as the lower-powered device tends to set the range limit. Kenwood TH-D74 specifications, BT section. But bluetooth low energy is a subset of Bluetooth v4.0 with an entirely new protocol stack for rapid build-up of simple links. As an alternative to the Bluetooth standard protocols that were introduced in Bluetooth v1.0 to v3.0, it is aimed at very low power applications running off a coin cell. And Core Bluetooth framework is aimed specifically at this new protocol stack. So I cannot use it with my transceiver. Pity. However, once bluetooth is activated via menu entry No. 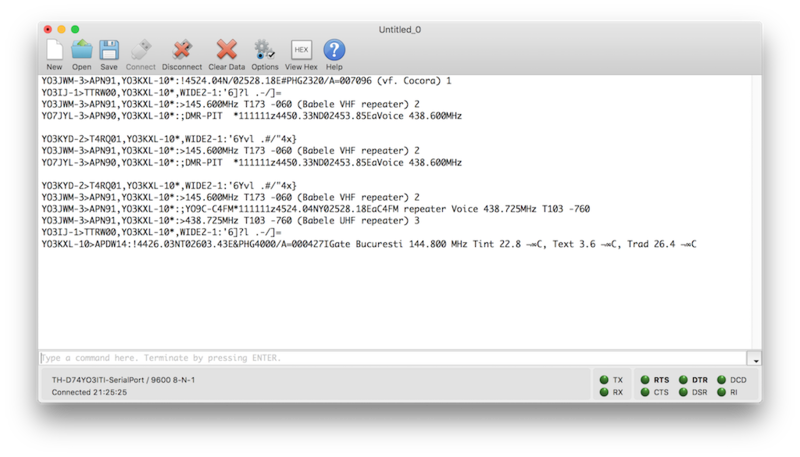 930, my Mac immediately mounts a BT serial port and communication is possible through the serial port. 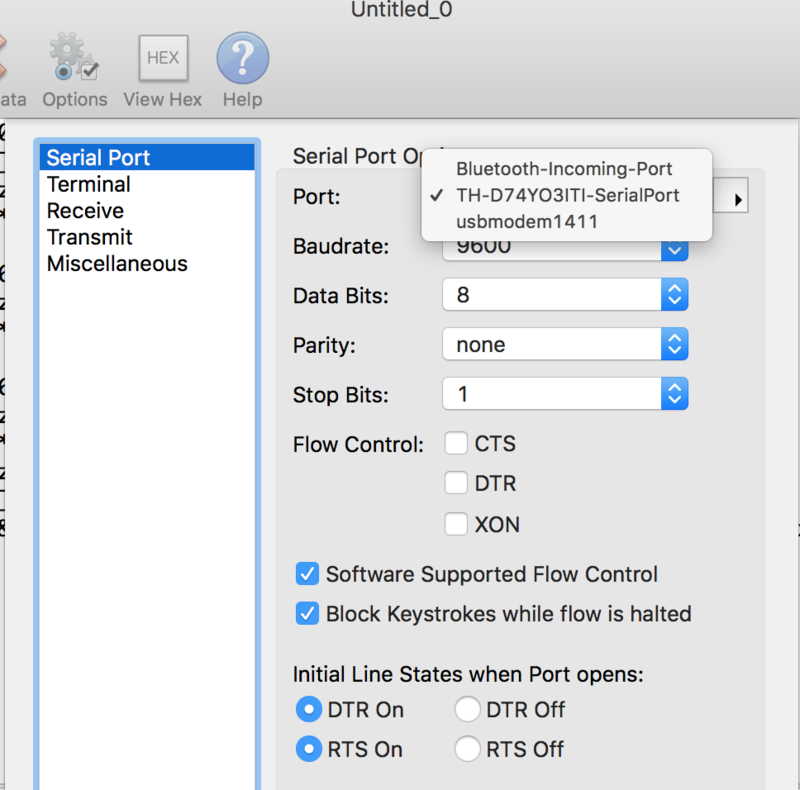 However, exploring Core Bluetooth is fun and I think I will dive a bit more into it. I have many BLE devices around, a scale, some other phones and the Apple TV. So stay tuned for both. More to come. Filed in Apple Programming, Blog, Core Bluetooth, Ham Radio and tagged Bluetooth, Kenwood, TH-D74. Bookmark the permalink.